Looking For A Great Coffee Shop in Wesley Chapel? Degaje Is Your Spot! Tampa has quite a few impressive spots for craft coffee. In Downtown, the coffee scene is prime with places such as Buddy Brew Coffee and Kahwa Coffee. In the surrounding suburbs, however, it's harder to find a great craft coffee spot. And it's more than just about sipping on a good cup o' Joe. The best coffee shops also make you feel like you're part of a community, a place where you feel known, welcomed, and confident that your drink order will be made to perfection each time without fail. After moving a bit outside of Tampa, I found it discouraging knowing that I had to drive over 20 minutes to get my morning coffee or have a coffee date with my husband. But to our delight, we found a hidden gem in the heart of Wesley Chapel: Degaje, a local coffee, tea, and artisans' market. This top-notch coffee shop is a small and quaint with a relaxing atmosphere, making it an ideal place to grab coffee on any occasion. From cappuccinos and lattes to pour-overs and a variety of teas, Degaje has it all. I was highly impressed with their shot of espresso, which they had dialed in to perfection. Their staff of three baristas is sweet and helpful, and you can see their passion for serving great coffee shine through their craft, conversation, and drinks! The love even extends to the unique furnishings that have actually been refurbished and created by locals. While you're getting coffee at Degaje, you can also shop at their store featuring coffee trinkets, accessories, body scrubs, and other body products as well as chalk paint so you can create your own shabby chic furniture. Community is an important aspect of coffee culture, and Degaje not only understands this value but emulates it with frequent community nights at the shop such as ugly sweater parties, open mic nights, and other fun, themed gatherings. I'm sure that once you've left Degaje, you'll feel like you're at home your next visit and every coffee stop after that. 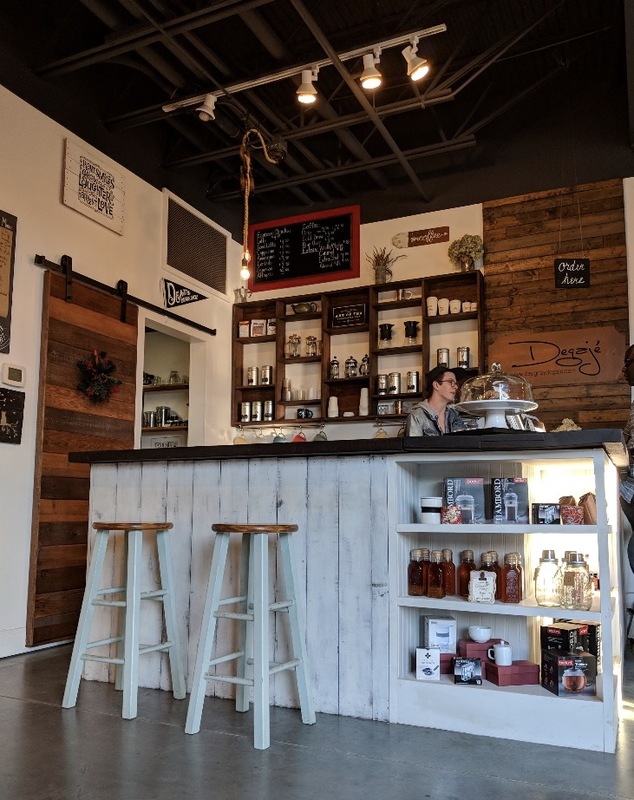 To better understand the heart behind this Wesley Chapel coffee shop, I asked owner Jen Pearson why she opened Degaje in the first place. Pearson says, "I like building things, and I love good coffee! I live in Wesley Chapel and thought our area needed something community-oriented that featured local, handmade items with great coffee and wholesome food. So far, it has been well-received. We love our customers and love what we do. We hope that comes across every time someone walks through our doors." Located in the Wesley Grove shopping strip, Degaje is your go-to place for a pre-shopping stop, energy boost, or post-work day in Wesley Chapel. If you haven't already, stop by this gem of a coffee shop and let us know what you think! 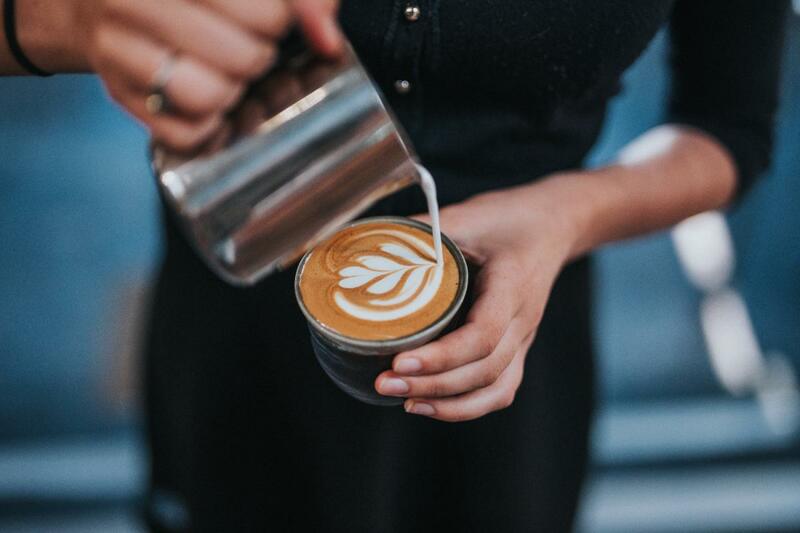 Find more great coffee shops in Wesley Chapel like Degaje and register on 813area to connect to everything in the Tampa Bay area.